December 17, 2013 – With the 2013 special releases from Diageo’s Classic Malts range still working their way to retailers, the largest Scotch whisky producer is now working on a new series of single malts. 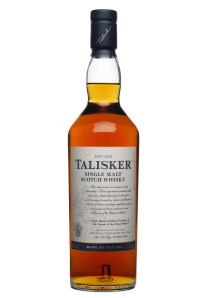 The “Friends of the Classic Malts” range is being launched with triple-matured expressions from Talisker and Royal Lochnagar distilleries, and will only be available to members of the Friends of the Classic Malts affinity group in the UK, Switzerland, and Germany through online retailers or to any member visiting one of the distilleries. 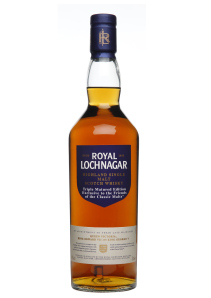 Both whiskies were initially matured in refill casks, then spent an undisclosed amount of time in charred American Oak hogsheads before being transferred to refill European Oak casks for final maturation. An additional three whiskies will be announced next month, and will be available during the first half of 2014. Diageo plans to release just 24,000 bottles of all five whiskies at a price of £80 ($130 each). Members will be limited to purchasing just two bottles of each release. In addition, Diageo has named the first brand ambassador for Mortlach’s new range of single malts to be released in July. Georgie Bell is leaving her role as global brand ambassador for the Scotch Malt Whisky Society to join Diageo. In a news release, Diageo Global Brand Ambassador Ewan Gunn touted Bell’s work promoting the SMWS across the world. Bell was the Society’s first global ambassador, and will join Diageo in January. Her successor at the Society has not been named.